So we started the Whole30 on Monday and then today (Tuesday), I left for a work trip. 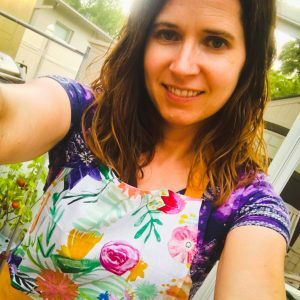 I spent most of my time last week and this weekend preparing a meal plan for my family (and all of you! ), shopping, and prepping food. And honestly did not think about how I was going to do Whole30 on the road until this morning. But I’ve got a plan and I’m pretty proud of myself so far! Tonight for dinner, I brought some Bilinski’s chicken sausages, spinach and Trader Joe’s deli mustard and ate them after I arrived at my hotel. Then, I happily went to a restaurant with my co-workers, drank hot tea and knitted while my co-workers partook of the salad bar. I could’ve also brought my own dressing to the restaurant and gotten my salad bar on. However, I have more control over food quality by bringing my own. And since public health is my jam, I am almost always skeptical of salad bars. 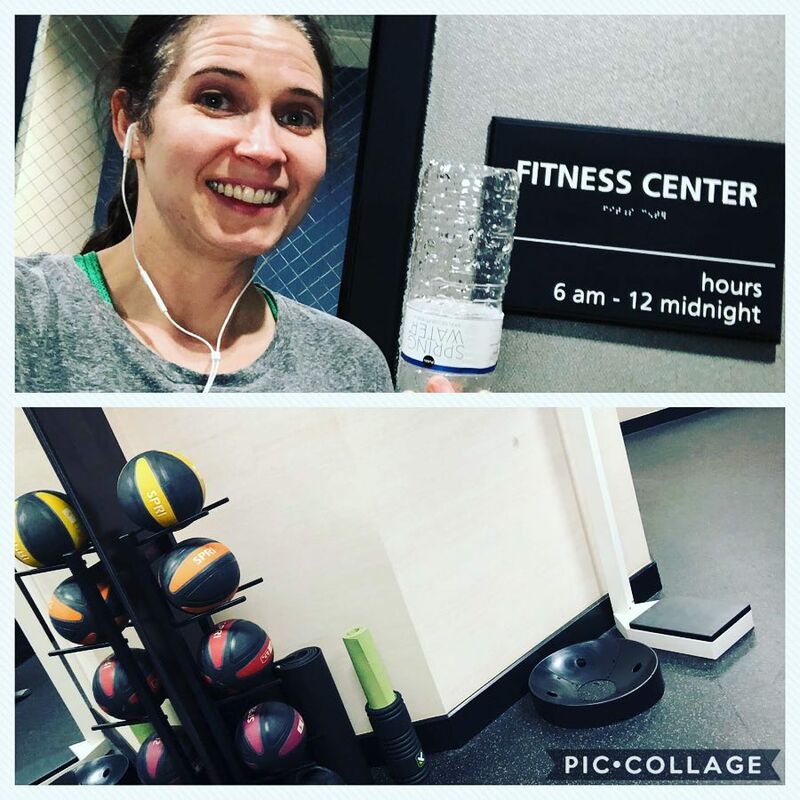 I was peckish when I got back, but I held off on snacking so I could visit the fitness room (and see which key piece of equipment was missing here). 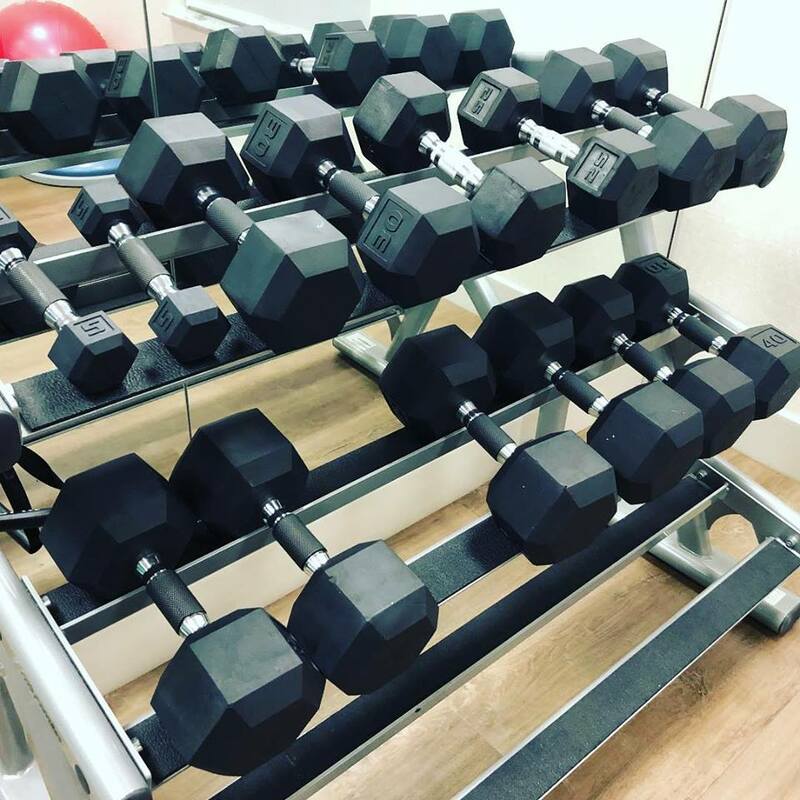 Last week’s hotel revealed only 5lb or 25+lb weights, which led to many, many reps with the baby 5 pounders. Tonight, the missing piece was a yoga ball… but there was a stand! Which I think shows hope. 🙂 The full set of medicine balls was a nice surprise, too! Anyway… after my workout, I snacked on a hardboiled egg, banana and cashew butter and am now sipping happily on another cup of hot tea (decaf… it’s getting late!). Tomorrow morning, I will raid the hotel breakfast for fruit to eat with my hard boiled eggs and coffee. And for lunch, I packed leftover salmon cakes and a garden salad with Tessamae’s lemon garlic dressing. (Most of Tessemae’s dressings are Whole30 compliant and super yummy. Lemon garlic is my fav! If you haven’t tried them, what are you waiting for?). I’ve also got some additional fruit along with carrots and guac, in case of emergency hangriness. Overall, I have been happy that I had the tools to effectively stick to this diet while traveling! What are your best tips for Whole30 traveling?